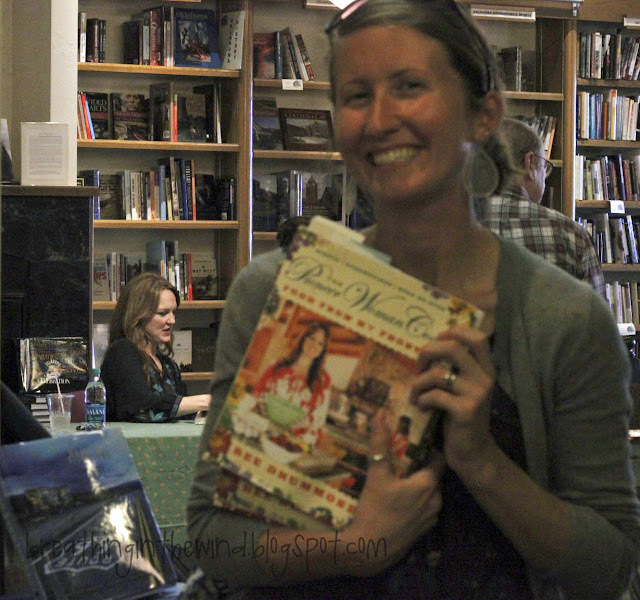 The day I almost met Pioneer Woman was last Saturday. 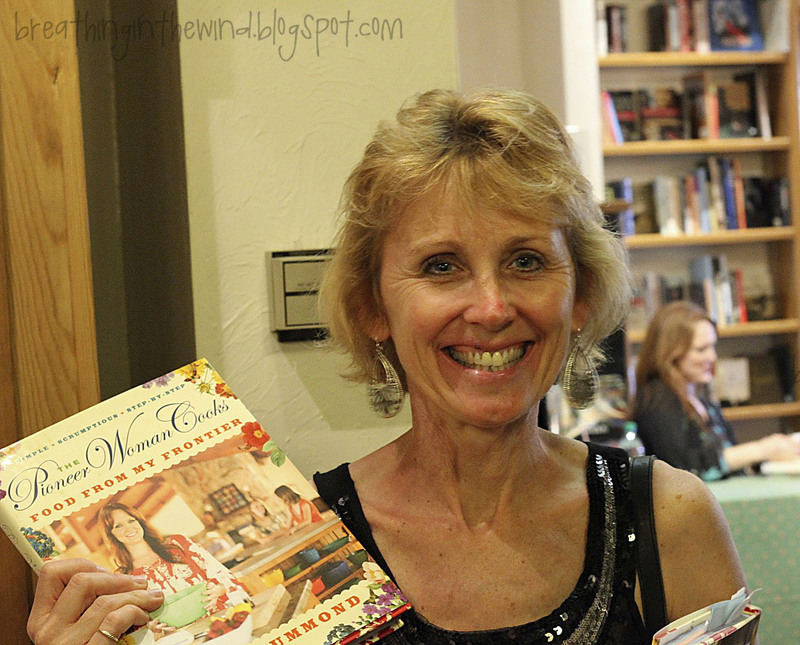 My mom came into town specifically so we could go to her book signing in the city and buy her latest cookbook. We arrived at the bookstore just after high noon, bought two cookbooks, and found seats for PW's presentation, which was to begin at 1:00. She arrived just a bit late due to a traffic jam, and we spent the next 45 minutes laughing while she shared funny stories of her early blog years and life on the ranch. 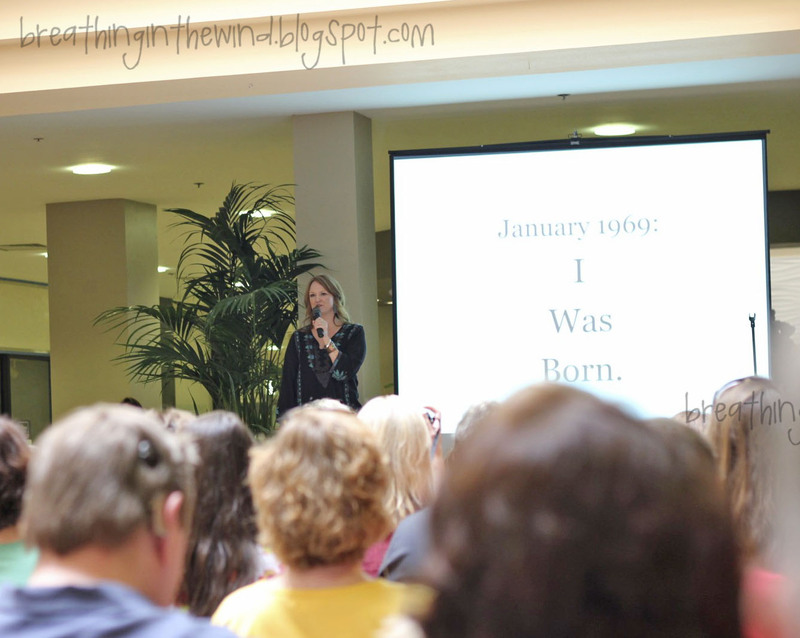 At the end of the presentation, she said, "Please don't look at me during this next part," then put up a picture of her dog on the screen and proceeded to sing "My Endless Love." 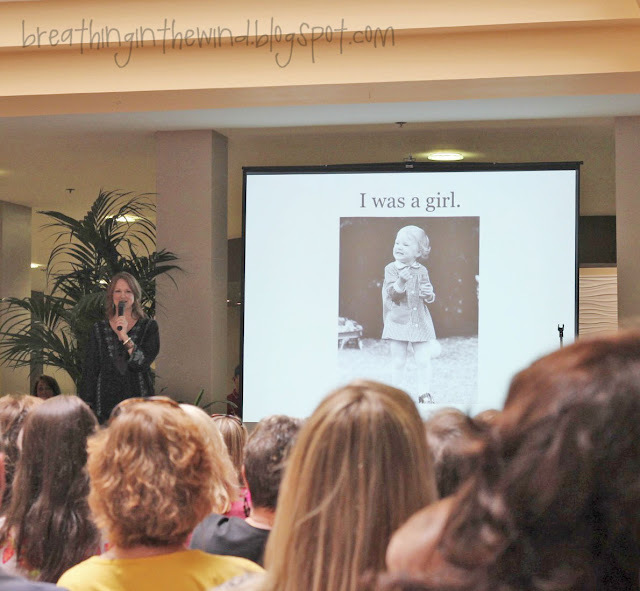 This only confirmed my suspicions that she really is as nutty in real life as she appears on her blog. After the presentation was over, they started calling numbered groups to line up to meet Pioneer Woman. I'll make a long story short and just say that my mom and I talked about it and decided to blow off actually meeting her and getting our new cookbooks signed. 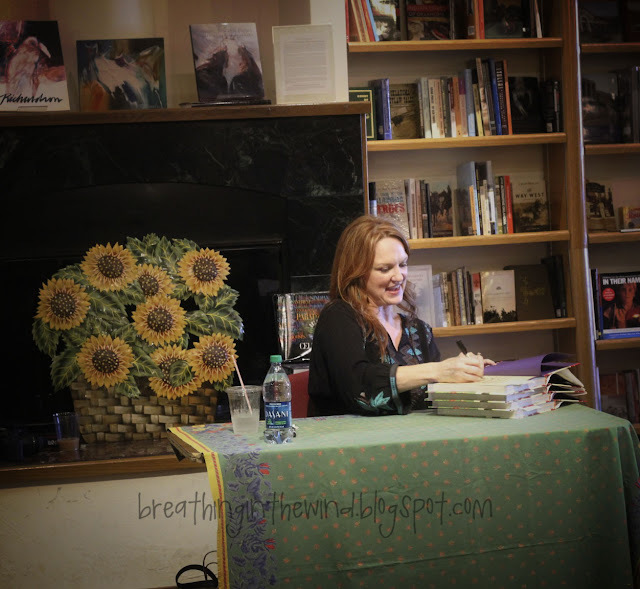 Instead, we snuck into the bookstore and took a few creepy stalker pictures so we could prove we were there (even though we didn't get an autograph). Then, we headed out for lunch at The Cheesecake Factory, shopping at the outlet mall, and pedicures. It turned to be a wonderful day--I say much better than waiting in line for hours. And seriously, who doesn't love a good creepster photo? Win. I LOVE your creepster photos.